Featuring an integral Type 2 Surge Protection Device, the Hager VML914CUSPD is fully 18th Edition compliant and negates the need for a risk assessment. It is High Integrity, offering 14 fully configurable ways arranged over three separate banks of circuits. 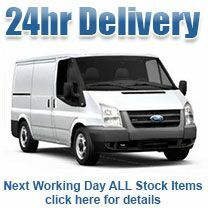 It is supplied complete with 1 x 100A mains switch, 2 x 100A RCDs and 10 MCBs. 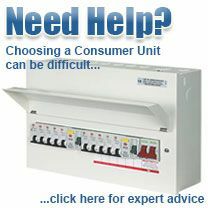 The MCBs supplied with the consumer unit are 3 x 6a, 1 x 16a, 4 x 32a, 2 x 40a - but this may be changed if required. Fitted with three neutral bars it allows for two banks of RCD protected MCBs and up to four RCBO protected ways for critical circuits. "The VML914CUSPD high integrity consumer unit has been developed to answer the two major changes introduced by the 18th Edition Wiring Regulations which came into force on 1st January 2019, regarding 'diversity' and 'surge protection'. Chapter 44 of the 18th Edition deals with electrical surges and advises that contractors will need to install SPDs to protect against transient overvoltages in situations where there may be serious consequences. These are listed as loss of life or serious injury, interruption to public services, interruption of commercial activity, damage to cultural heritage, or impact on sites with large numbers of people. At all other sites (apart from single dwellings in some situations) a simplified risk assessment will determine the need for SPDs. The Type 2 SPD therefore negates the need for a risk assessment whilst complying with the requirement.